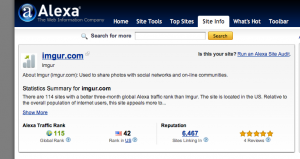 According to Alexa.com he popular image uploading website Imgur.com (ranked #115 in the World) is more popular than the site it was created to help, Reddit.com (ranked at #134 in the World). 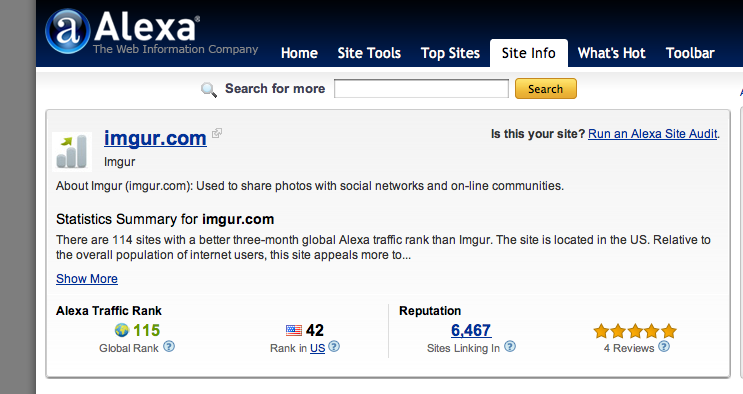 Imgur, as Wikipedia states: is an online image hoster was created by Alan Schaaf in 2010. Schaaf was a Redditor himself who saw the need for such a site. It was “created as a response to the usability problems encountered in similar services” and rose to popularity on Reddit and Digg. 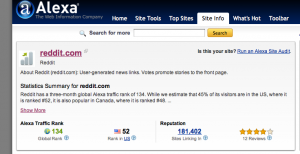 While Reddit.com has been servicing the internet since 2005 as “a social news website, owned by Condé Nast Digital, a subsidiary of Advance Magazine Publishers Inc. Users have the option to submit links to content on the Internet or submit “self” posts that contain original, user-submitted text.” It is the news before the news. 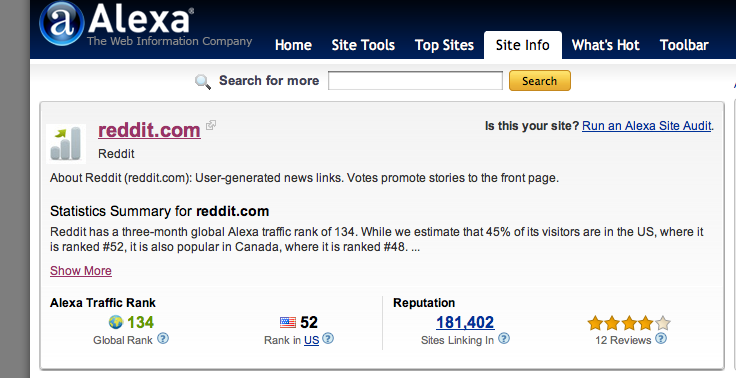 So although it is not too terribly surprising that Imgur, a site created to help Reddit 5 years after it launched is now more popular than the parent itself, it is still an interesting fact. 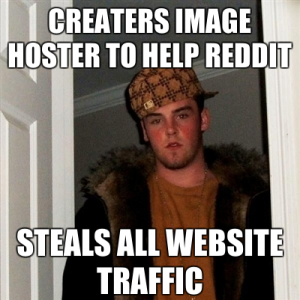 I guess too many Redditors are submitting their material and Scumbag Steve Meme’s to Imgur without anybody noticing.